Rick Whitlock provides some helpful thoughts for campus ministers who often find themselves in counseling scenarios even though they don’t see themselves as counselors. In the organization I work for, Coalition for Christian Outreach (CCO), you won’t find anything in our recruiting materials or website that says what we do is provide counseling to college students. Instead, our staff is dedicated to introducing college students to the Gospel message and equipping them to be leaders for Christ on their campuses. We call college students to serve Jesus Christ with their entire lives. And yet just like most pastors, campus ministers may find themselves doing a lot more counseling than they signed up for. As we seek to makes disciples, we are often confronted with complex questions pertaining to how we can best help our students. who had demonic visions or who lacked spiritual vision of any kind. What can we do to address these realities that come up as we minister? 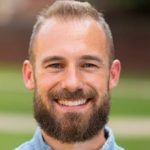 I find myself asking questions about campus ministry and counseling quite often because I have to: first, because the realities are there in students’ lives, and, second, because I am trained to be a pastor (MDiv) and a counselor (MAC). And though I have intentionally chosen to act as a pastoral counselor rather than a professional counselor, I often have to decide when and how to use my counseling training in ministry. Yet it is not just those who have advanced degrees that must discern how to steward their knowledge and capacities: all of us who minister have to make regular choices about how we will minister to the wide variety of troubles and difficulties in our students’ lives. At times, that choice includes assessing whether our students need help beyond us, and how we can help them get the help they need. The first and most important question to answer when discerning how to help our students with their troubles is: What is my role in this person’s life? We likely agree that healthy Christians make healthy church members, and healthy churches are organized around the Word of God. As God’s people we want to understand all things in light of God’s Word. We may not have advanced degrees in psychology, but we can minister in the advanced power of the Gospel. God’s Word declares that God’s people need the counsel of God’s Word. Psalm 33:11 says, “The counsel of the LORD stands forever, the plans of his heart to all generations.” We counsel others with the counsel of God’s Word because God is eternal and unchanging (“forever”), and his counsel isn’t mere advice but the “plans of his heart.” Paul calls the entire Word of God the “whole counsel of God” (Acts 20:27), God’s plan is most fully realized in Jesus Christ. For through Christ God ultimately revealed his purpose to reunite us to himself and restore the world from its persistent pains and problems (Eph. 1:9-10). Revealed in the pages of Scripture is not mere advice but God’s eternal plan for us. Our students need the assurance of knowing God’s gracious plan accomplished by Christ and applied by his Spirit to each of us. We can help, but their great hope is not our counsel but the Wonderful Counselor — the One whose plan goes beyond human capability (Isa. 9:6). This is our role first and foremost: to counsel our students to take Christ, the Wonderful Counselor, who offers more than behavioral modification or temporary quick-fixes. He offers the plan of ultimate redemption and hope for us, as well endurance, patience and joy needed to continually face our present difficulties and sufferings. His grace is sufficient for every pernicious struggle and terrible trial they face — not necessarily to take these struggles and trials away, but to show us his plan and purposes are alive and well within our sufferings and that his plan and purposes are beyond our sufferings. Entering the darkness with our students is often part of making disciples: discipleship will often include counseling students through difficult situations. Caring for troubled people is part of the privilege of loving Jesus. Our confidence is not in a masters level counseling technique, as important as these can be, but in God’s power to transform people. As Jeremy Pierre and Deepak Reju state in their book The Pastor and Counseling, we share the Gospel and love troubled people because we believe that Jesus Christ is the means of change (his gospel changes our hearts’ responses) and Jesus Christ is the goal of change (our maturity displays his character). Circumstances may not change and problems may not go away through our counseling, but God promises there is power in his Gospel that helps us walk alongside people in their greatest needs and lead them towards their greatest hope. This is the starting point for campus ministry. Often what gives us the opportunity to invite students into faith in Christ or deeper following of Christ is the pain, problems, and pressures of their lives. We offer prayer and patience while seeking wisdom from the Father for how we can point to this student to the gospel in a what that meets them where they are. Yet a question remains. As we grow in wisdom, and continue to face the complexity of struggles our students face, when should we refer our students to a counselor? Knowing our role in their lives — as those who counsel them to take Christ in all things — how can we utilize our role to bringer even greater help, healing, and hope to our students through the significant gifts of the entire body of Christ? That’s the question we’ll seek to answer next in “The Campus Minister & Counseling: When to Refer?” – Coming soon to Collegiate Collective.